Two women who were part of the largest all-female group to cross the continent have been speaking in Northern Ireland. 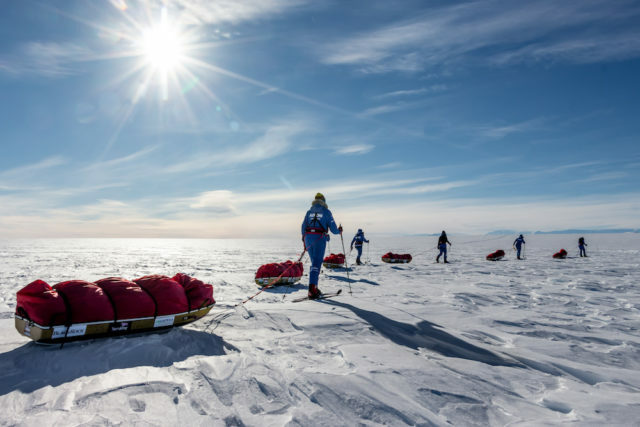 Two women who were part of an all-female team that made history earlier this year by crossing the Antarctic unaided have revealed medical tests showed the extraordinary endurance of their bodies. 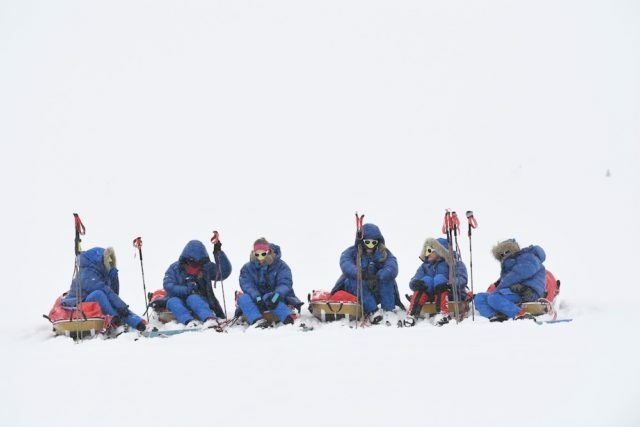 Six women from the British Army, known as the Ice Maidens, became the largest all-female group to ski coast to coast on the frozen continent. 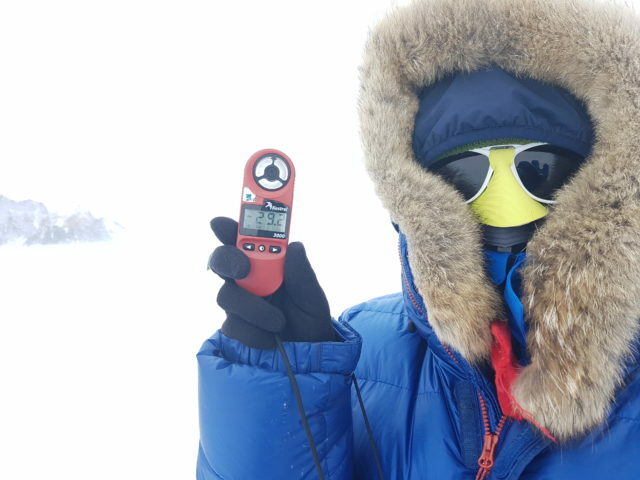 They completed the 1,000-mile journey in extreme conditions, pulling an 80kg sledge behind them in temperatures as low as -42C for 62 days before crossing the finishing line at Hercules Inlet in January. The full results of medical tests using data gathered from the women during their expedition are expected to be published in the coming weeks. Early indications suggest a “high female biological capacity for extreme endurance exercise”. Results from previous expeditions – mostly made up of men and civilian women – found participants lost a considerable amount more body mass than the Ice Maidens. 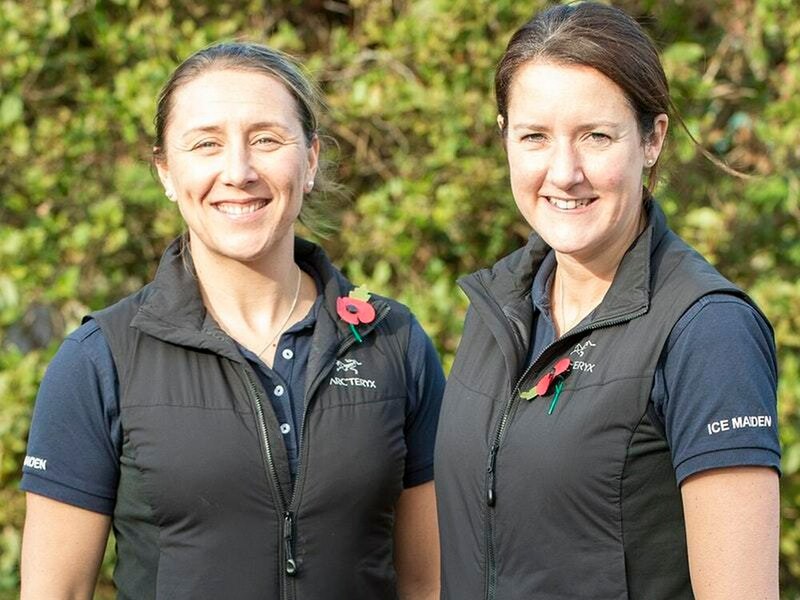 Two members of the team, Royal Signals reservist Major Sandy Hennis from the Midlands and Honourable Artillery Company reservist Lance Sergeant Sophie Montagne from London, visited Northern Ireland this week as part of a post-expedition outreach programme. They described aiming to eat 5,000 calories a day on their trek – while they were expending up to 10,000 calories. After working to gain weight before the expedition, Sandy lost around 12kg, finishing just 2kg underweight. “That is amazing, mostly people come back having lost a lot more, we generally looked pretty good,” Sophie said. In Northern Ireland, they have been speaking to a wide range of people including school girls at Glenlola Collegiate in Bangor, the Police Service of Northern Ireland, Queen’s University OTC, Mid and East Antrim Council’s Seven Ages of Women event, Scouts and Girl Guides and medics. Speaking to the Press Association, Sophie said they have been emphasising the message they are simply “ordinary people who did something extraordinary”. The process for the six women, most of whom did not know each other beforehand, started with an advert looking for participants. Some 250 applicants were narrowed down to six, who undertook intensive physical training ahead of the expedition. Sophie said her training including dragging a Land Rover tyre behind her across central London to work every day. Sandy admitted her lowest ebb during the expedition was after catching flu at base camp. “There were times when I didn’t think I was going to be able to keep going but there wasn’t really any other choice,” she said. “There was no way the plane could get me so I turned to the team and said ‘help me’. “They took the weight I was pulling and shared it among themselves. Our mission was to get all of us across so we had to all work together. The women said they hope to inspire others by speaking to groups across the UK about both the highs and lows of their expedition. “The best reaction we get is when someone comes up to us afterwards and admits they have struggled with something and they are now going to try it,” Sandy said.